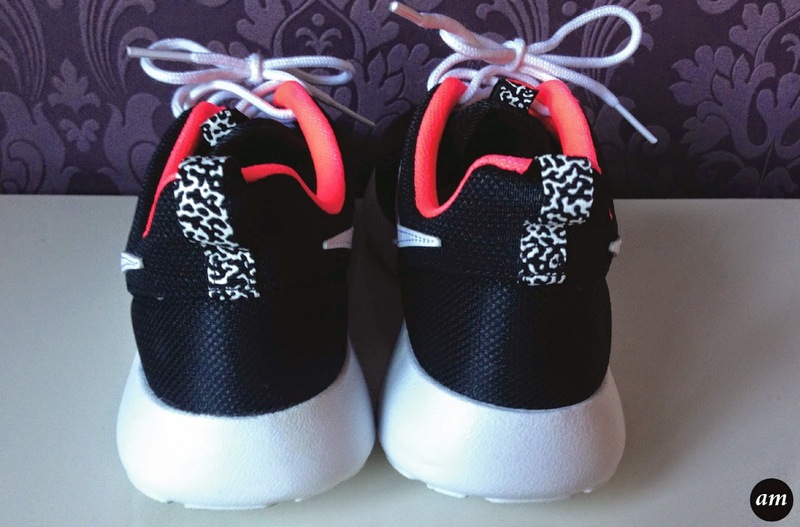 The Nike Roshe Run features a mesh upper and EVA foam outsole. They are designed so that you can wear them with or without socks and dress them up and down. These trainers come in a variety of colours and patterns. 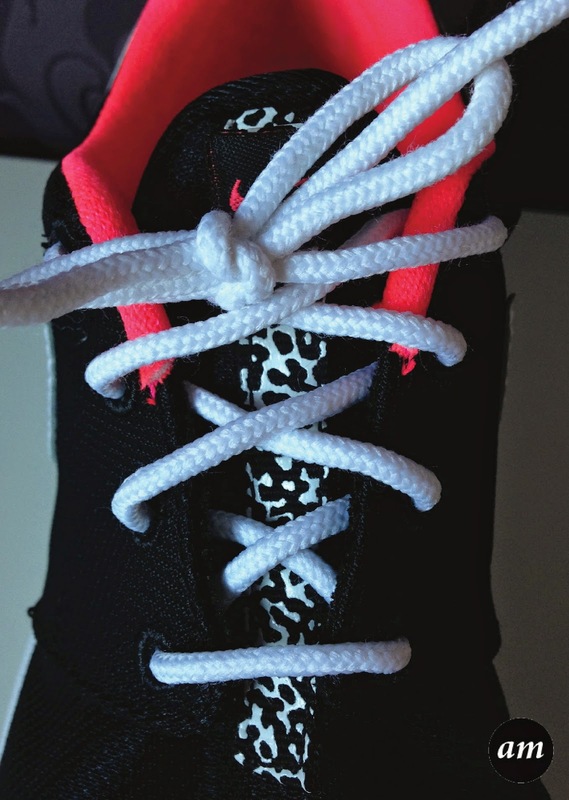 The ones I feature in this review have a white sole, tick and laces, coral lining and leopard print detailing. 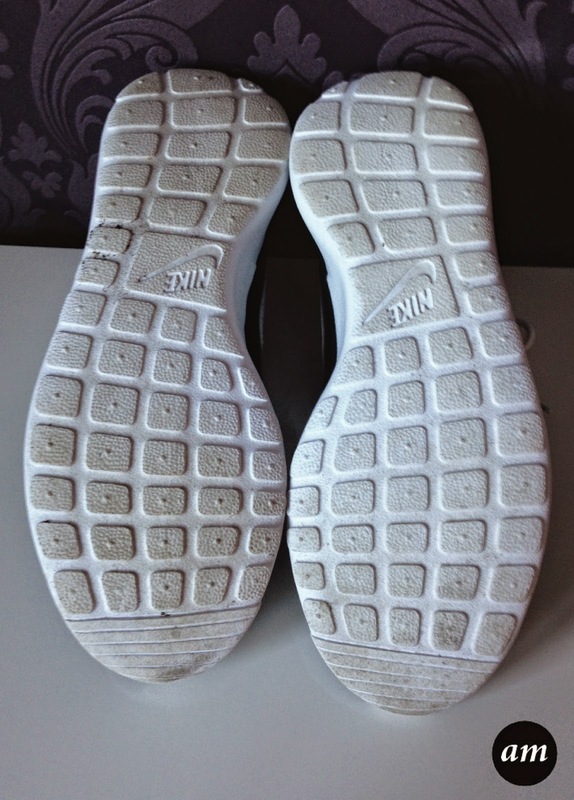 Roshe Runs are great for running or walking as they are super lightweight and let your feet breath while wearing them. They are really comfortable to wear; It's almost like you have no shoes on! 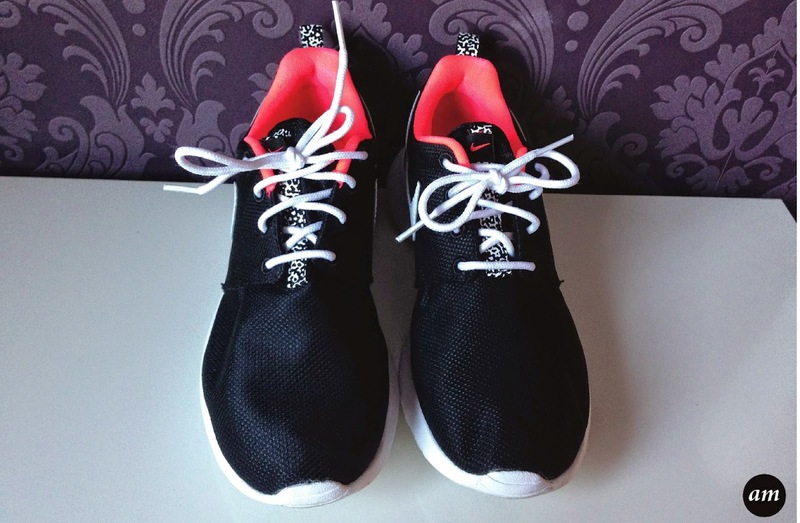 You can purchase the Nike Roshe Run Trainers for £70 from Nike. Unfortunately I couldn't find this design on their website at the time I wrote this post, but keep checking as they may get them back in stock. Meanwhile you could have a look at the other colours they have on there. 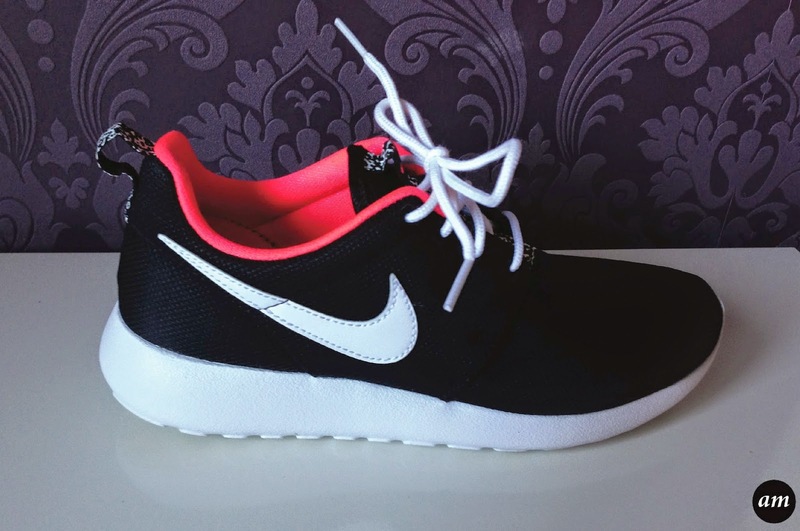 Do you own any Roshe Runs? As you workout regularly, I will suggest you to best yoga socks. This will be really comfortable for you to workout and exercise easily.